The soil on the grave of tgbf.tv has barely had time to settle and Chris Schetter is back up to his old tricks. 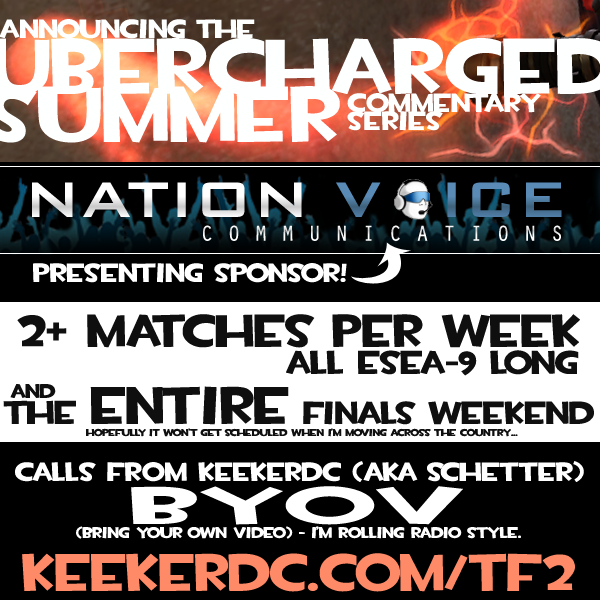 This time he is leaving the video up to his audience, inviting them to BYOV (bring your own video) while he gets on with the indulgent task of revealing the narrative of the TF2 matches. 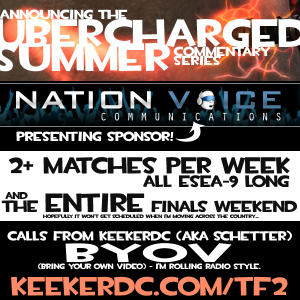 Some may see this as a bold new strategy, others an over simplification of shoutcasting. Certainly the days of casting with The-Swede have not been forgotten and assistance from oPlaiD and bcarr may be welcomed but this time Chris is going it alone. This will be an interesting journey for Chris and we get to come along for the ride.